Dienekes’ Anthropology Blog: Who inhabited the Jubbah lake in the Nefud Desert during the Middle Paleolithic? 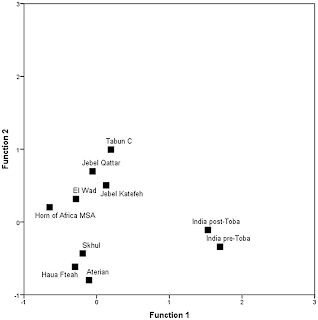 "Middle Palaeolithic technologies in Arabia in MIS 5e–c – and nuclear genomic estimates which indicate that the split between Africans and non-Africans occurred as early as 130 to 90 ka"
That would serve to completely sever any last remaining tenuous link between the Upper Paleolithic expansion and the first expansion of 'modern' humans. 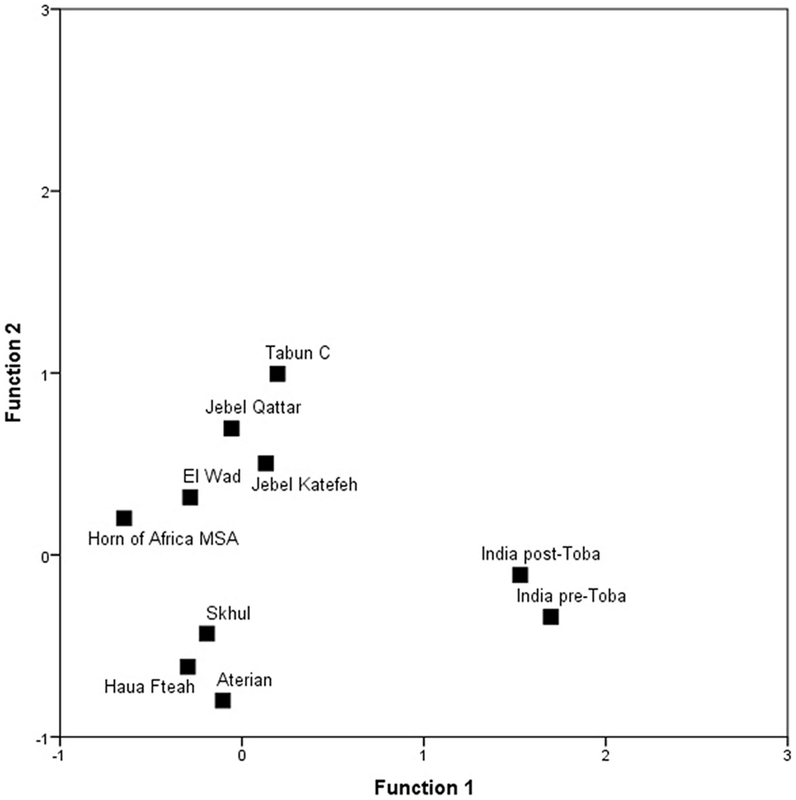 "there seem to be two candidates for the modern human Out-of-Africa: Skhul (Levant; linked to Northwest Africa here) and the Nubian technocomplex of (south Arabia; linked to Northeast Africa)". Surely it is by no means impossible that both populations were involved in the OoA. Modern humans may be a product of the mixture of the two. There is no need to imagine some sort of Garden of Eden origin.